Per capita party subsidy issue not as good for Cons as PM Harper thinks? 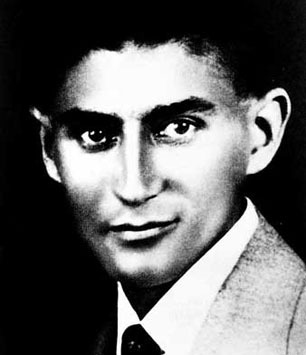 Franz Kafka (1883–1924) was born and raised in Prague, in what is now the Czech Republic. He spent most of his short adult life working for an organization of the old Austrian empire known as Workers' Accident Insurance during the day, and writing a kind of wild anti-bureaucratic fiction at night. “Virtually unknown during his lifetime, the works of Kafka have since been recognized as symbolizing modern man's anxiety-ridden and grotesque alienation in an unintelligible, hostile, or indifferent world.” He died of tuberculosis just a month short of his 41st birthday. Yesterday, in a piece headed “Harper’s talent for turning,” John Geddes at Macleans.ca opined: “Anyone can look good when they’re right. More formidable is the ability to look strong when events have proven you wrong.” This seems to me nicely written, but untrue. Or, at the very least, looking strong, like beauty, must be in the eye of the beholder. 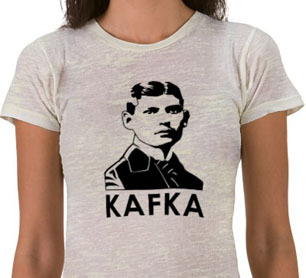 In the current Canadian federal election campaign that is not officially happening (where is Franz Kafka when you need him? ), a number of issues are surfacing about which Mr. Harper has been proven wrong. And you have to be a formidable Conservative partisan to imagine that he seriously looks strong in the middle of them. What Mr. Harper is hoping for seems easy enough to guess: “A plan to eliminate taxpayer subsidies of federal political parties in 2008 led to a revolt by all three opposition parties and an attempted coalition between the Liberals and NDP with the signed support of the Bloc Québécois to unseat Harper’s minority Conservative government.” This led to a prorogation of Parliament, to escape the will of the majority in the elected House — one of the dark blots on Mr. Harper’s copy book, that may or may not crush him in the end. 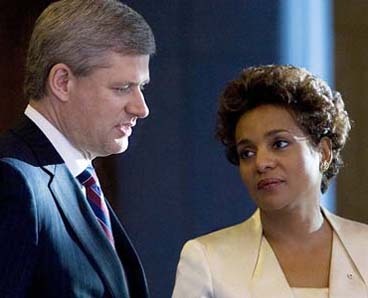 Governor General Michaelle Jean agrees to Prime Minister Stephen Harper's request to prorogue Parliament, Thursday, December 4, 2008. Photograph by: David Boily/Agence France-Presse. 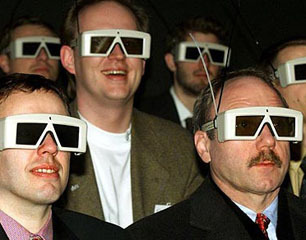 But in the wake of the 2008 opposition “revolt” the Conservative polling numbers also briefly scaled previously (and subsequently) unheard-of heights of 44% and 46%. If only PM Harper can somehow re-enact this side of the political party subsidy issue, he will almost certainly win his majority of seats in Parliament at last. 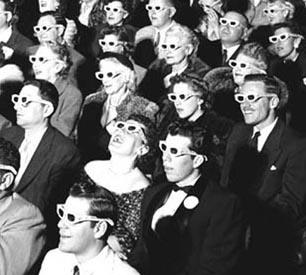 However … time has passed, and various branches of we the Canadian people have apparently become somewhat older and wiser. The main stumbling block, it seems, lies not-so-buried in Mr. Harper’s own January 13, 2011 allusion to: “There are already generous credits and incentives in the tax system to encourage people to give to political parties today.” And this means the argument quickly becomes rather subtle and complex (even “Kafkaesque”? ), rather than a simple winning case of “why do political parties need to be funded by taxpayer dollars anyway” — especially at a time of special concern with record public deficits, etc, etc, etc? If you want an aggressively exhaustive discussion on the per capita political party subsidy issue, consult “PM Harper should return multi-millions of dollars in per-vote subsidies, says NDP,” by Bea Vongdouangchanh, in yesterday’s Hill Times online. For a somewhat more concise but equally comprehensive technical report see Eric Grenier’s “Per-vote subsidy but a fraction of taxpayer support for political parties” in the Globe and Mail (which also includes a technicolour infographic with the alluring title “Parties at the public trough”). What present-day Canadian political party might reasonably want to sport these handsome ladies’ T-shirts during the 2011 federal election campaign — if and when such a thing ever officially happens, and leads to an actual election? Mmmm … If voters in Mr. Harper’s very Conservative-friendly home province of Alberta are already jumping to conclusions of this sort, what can we expect in the rest of the country? Of course, maybe there are still Albertans who call Edmonton “Redmonton,” and dismiss the 35%+ of people in their province who did not vote Conservative in 2008 as altogether unimportant. But that’s still about the same percentage as Mr. Harper’s party is currently getting in the cross-Canada polls right now. And I at least cannot see at all how he still looks strong when the numbers do appear to be proving him wrong on the per capita political party subsidy issue. 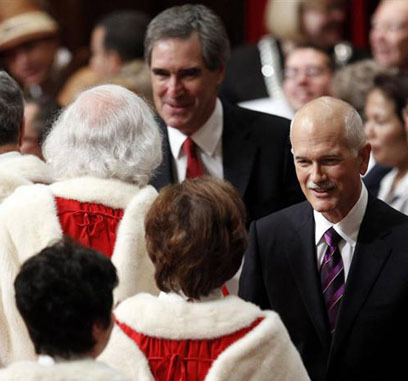 Liberal leader Michael Ignatieff (top) and NDP leader Jack Layton (r) greet Supreme Court justices before David Johnston is sworn-in as Canada's 28th Governor General during a ceremony in the Senate chamber on Parliament Hill in Ottawa, October 1, 2010.